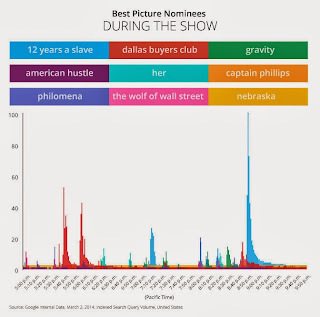 Interested in more insights from the Oscars? Read the full article on Think with Google. On Sunday, Oscar viewers had smartphones as their constant companions during the show. Mobile searches were up a whopping 86% from 2012. They were searching for all things Oscars, from red carpet dresses to YouTube trailers. In fact, the search data can provide a real-time reflection of their interests. 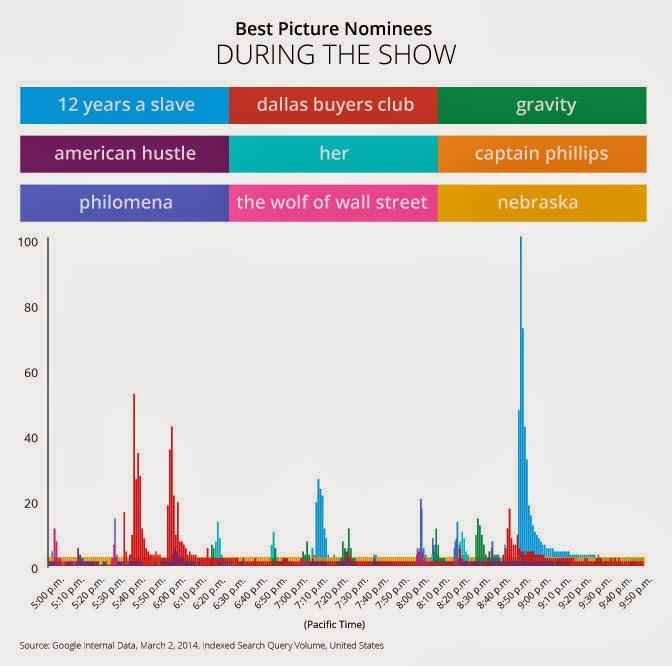 Here, you can see searches spike as the nominees were announced.